An ugly triumph against the Pumas in sub-zero temperatures at Aviva Stadium gave Ireland two wins from their four Tests this month. While Kidney admitted the defeats by South Africa and New Zealand had tarnished the autumn, he expressed his satisfaction at having increased his playing resources. "One of our goals in this month was obviously to win every match and we didn't," he said. "We came up short in two so we have to take a serious look at that. "Another was to build a squad. We have been doing that and today was a good step towards that. You can build all you like at training but fellas need to prove to themselves that they can win a tough game." 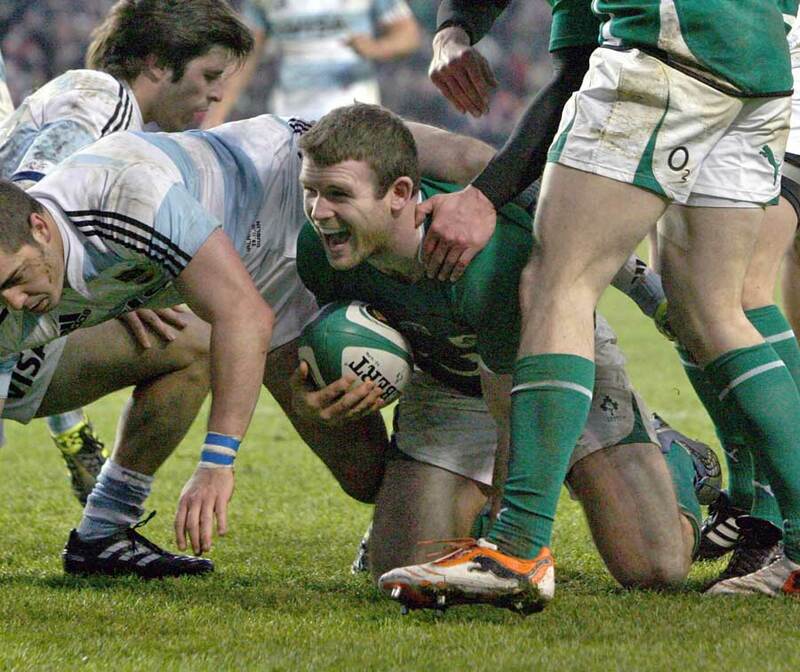 Stephen Ferris and Gordon D'Arcy ran in tries but it was the five penalties and one conversion from Jonathan Sexton that really hurt Argentina. Despite the resounding victory there was a feeling that Ireland, who led 19-3 at half-time, had failed to capitalise fully on a lacklustre Pumas display. "In the first half we were good and positive when we had the ball," said Kidney. "When we got into their half we managed to take scores. Most of it was 3-6-9 stuff, but we took the one try when it came our way. There was a point early on when they mauled us from the 22 to the goal-line. That in hindsight turned out to be a pivotal point because we stopped them from scoring there." Ireland captain Brian O'Driscoll failed to finish the match because of an injury to his jaw that could require surgery. "Brian could have a crack in his jaw, the treatment for which I'm not sure," said Kidney. "If it is just a crack he might be able to avoid surgery and a plate. I'll just have to find out what the story is." Argentina captain Felipe Contepomi felt his side suffered from referee Mark Lawrence's officiating at the scrum. The Pumas sent Ireland into retreat at a series of early five-metre set-pieces, yet Lawrence eventually gave the home side the put in. "We didn't score in the moments we had too. There were crucial moments that would have led us to victory but we didn't score," said Contepomi. "It was lost there. There was a different interpretation at the scrum. "Our scrum was going forward and Ireland's went backwards but the referee says it had been turned around and gave them possession. I'm sure he will watch the game and he will be very critical."